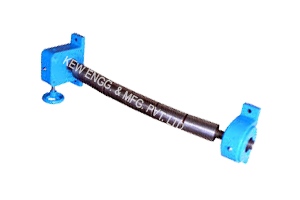 Metal Expander Roll is most suitable in high-speed Pulp & Paper & Textile Applications It also Known as Wrinkle Removers, Bow Rollers & Banana Rollers. Metal expander roll having hard chrome surface which is suitable for high speed and high tension applications for Paper industries, particularly for slitter re-winders, Calendars, Poop Reels, M.G cylinders. On high speed machines it does not wear & tear so it is commonly used in place of Rubber Bow Roll. Used in Differerent Industries : Industries Like Paper, Tyrecord, Woven Sacks, Leather, Plywood, Sheet Line Material Handeling and many more. Copyright 2018 www.bananaroll.net | All Rights Reserved.